You know it’s campaign season when immigration shoots to the top of the news. Every politician has their list of talking points and immigration is always amongst them. Unfortunately, as is the case with most politicians, spinning the facts to fit their perspective is more prevalent than simply speaking the truth. 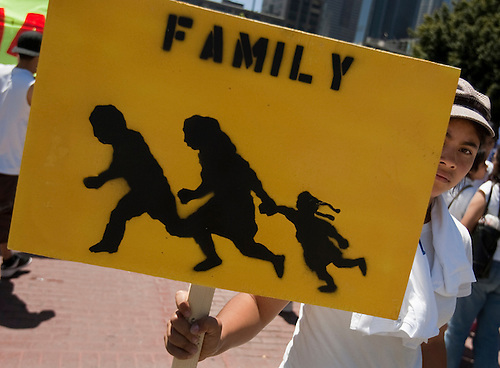 The last few days has seen a flurry of activity and articles dealing with undocumented immigration. Chief among them was the announcement that Governor Jerry Brown signed into law the California Dream Act, thus allowing undocumented students to receive financial aid from the state for higher education. Students must meet requirements, such as having attended a state high school for three years and prove they have initiated the legalization process, to gain access to Cal Grants and in state tuition costs. Despite a budget that is strapped, it makes no sense to punish children who had no bearing on coming to this country illegally and are trying to better themselves in ways that will prove beneficial to society in return. A recent story by National Public Radio looked at the economic reality of tough immigration laws like the ones in Arizona, Alabama and Georgia. As other states look to follow suit, it’s necessary to consider what impact undocumented workers truly have on our economy. One of the finest points in the NPR piece is the hypocrisy of the Republican party who scream that the government needs to stay out of people’s business and let companies handle their own affairs. Deregulation is synonymous with Republican. Yet, it’s the Republican party in states like Alabama, Georgia and Arizona that is hurting the businesses that depend on a migrant work force. Agriculture, car washes, restaurants, clothing factories, food processing facilities and construction businesses have depended on migrant labor forever. And they are reeling from new immigration laws drafted by the party who decries a “hands off” approach to business. What gives? businesses that use undocumented workers drive prices down because they don’t have to pay insurance and taxes for the workers. The downward pressure on prices, particularly in construction, will cause other businesses that don’t use undocumented workers to go out of business, the reasoning goes. I don’t buy that. Businesses can, and do, employ documented workers and still pay them under-the-table, thus avoiding payroll taxes so they can keep their overhead low to compete. Downward pressure on pricing is an unfortunate part of any business, but it can’t be blamed on the undocumented. Believe me, I know. The photojournalism community has seen a downward pressure on rates photographers charge for creative fees and licensing for years. It has forced more photographers than I can count out of business. 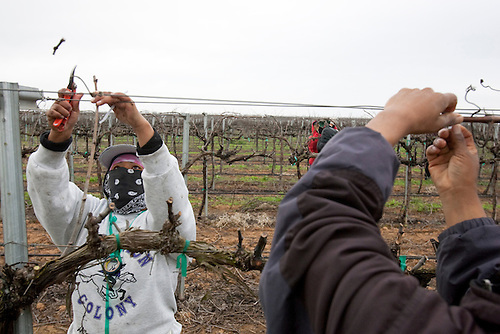 Is it because undocumented workers have taken up photojournalism? No. Instead, the next generation of photojournalists are wholly less concerned about keeping their rights to images or even being paid to shoot a job. In photo-speak, these photographers call it working on “spec.” In reality, they are working for free. An entire business, US Presswire, was built on this concept and flourished to the point that publishing giant Gannett recently purchased them. What do you think that business model does to the industry? And it has absolutely nothing to do with undocumented workers. The truth is that the American economy, and many others around the world, functions with undocumented workers filling a role. States don’t need to make life harder on their own residents by forcing the migrant work force to flee and leaving business owners in economic straights. It just doesn’t make sense.